I have always been fascinated by the more unusual and overlooked groups of wildlife; from obscure beetle families, millipedes and slugs, to lichens and bryophytes (mosses and liverworts). So often these understudied organisms can tell us huge amounts about the health of the ecosystems in which they dwell. Sphagnum mosses are one such group that have piqued my interest recently. Familiar to some as the major component in peat (which they form as they slowly decay over hundreds or thousands of years), few people know that the UK has over 35 species of this diverse genus of mosses. The Scottish Highlands are the centre of Sphagnum diversity in the UK, with all species able to be found within a 3-hour drive of Aigas. 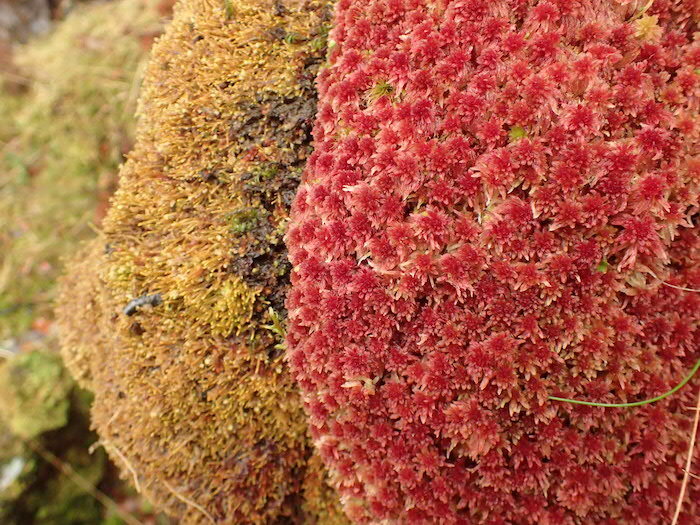 Globally, Sphagnum mosses are most abundant in the northern half of the Northern hemisphere, and with 100-300 known species (depending on the taxonomy used) – so you really get a picture for just how high the Sphagnum diversity of the Highlands is! 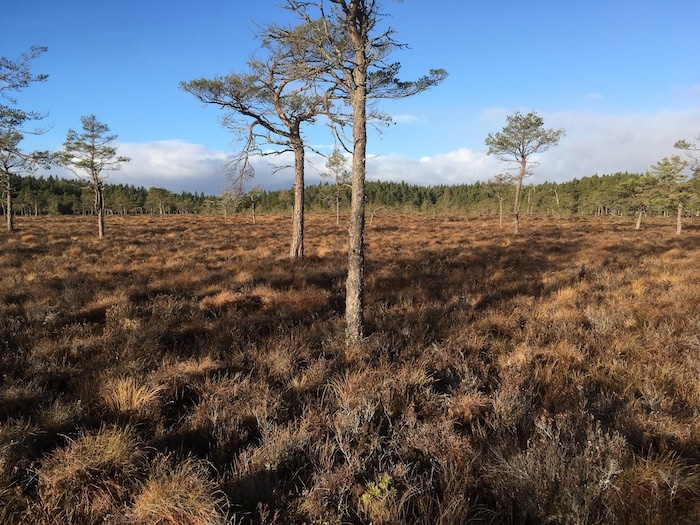 Sphagnums are responsible for the presence of all peatland habitats, but can also be found in woodlands, mountain flushes, and other damp areas. The hummocks and carpets that they form provide a microhabitat for large numbers of scarce invertebrates, and even other bryophytes (mosses and liverworts) that specialise in growing through Sphagnum. Peatlands formed by and containing Sphagnum mosses support a wealth of plants that can’t grow on any other substrate. It would be no exaggeration to say that many of the most unique and biodiverse habitats in the Highlands wouldn’t exist without these humble mosses. 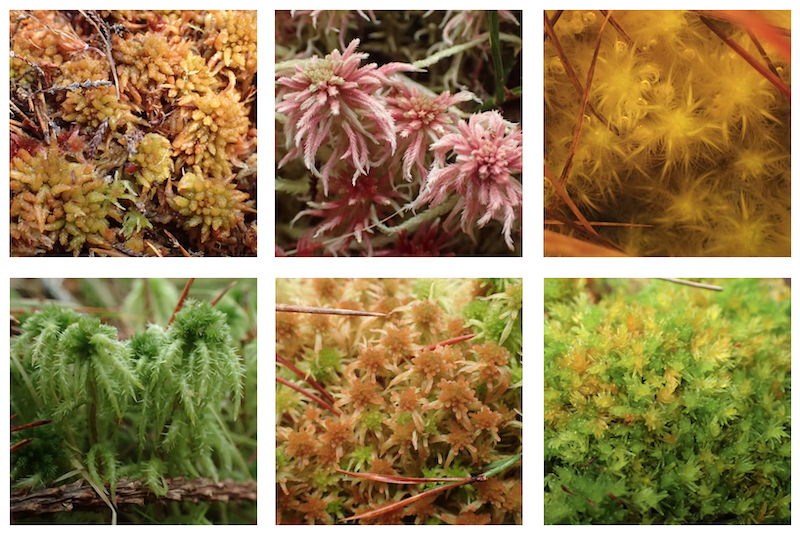 Identification of the different Sphagnum species is incredibly useful when carrying out biological surveys in the peatlands and uplands of Britain, though it can be tricky. Whereas many can be named in the field with experience, some require high power microscopy of to figure out. I find nothing more rewarding than understanding a habitat and the surrounding landscape, from the individual species up to the form of the land itself. Because of this, I’ve decided to embark on a rather unusual mission: to find and photograph all of the British Sphagnum species in a year! It won’t be easy; some species are confined to only a few high mountain flushes, or the most remote areas of flow country in the far north-east. One species is so rare that it can only be found growing as individual shoots through mats of larger species, in 3 localities nationally! 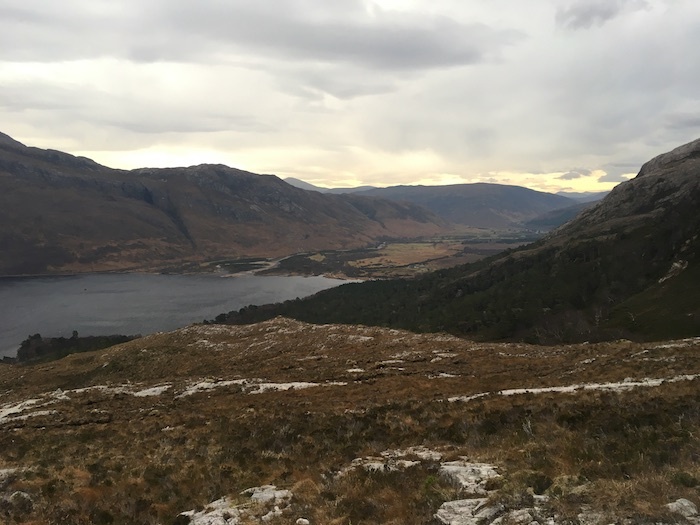 I’m hoping this challenge will enhance my understanding of the landscape by taking me to some stunning places throughout the Highlands, where I will hopefully see lots of other rare and amazing species in their precariously niche habitats. One of my favourite things about the challenge is this: Sphagnums are natural jewels, coming in so many shapes, sizes, colours and forms. I’ll never tire of finding and photographing these beautiful, fascinating and important mosses.